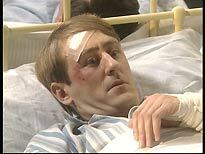 Goodnight Sweetheart is an amiable fantasy sitcom about a TV repair man, Gary Sparrow (Only Fools and Horses' Nicholas Lyndhurst) who discovers he's able to travel back in time to London during the World War II, where he engages in an flirtatious relationship with a barmaid (Ballykissangel's Dervla Kerwin). 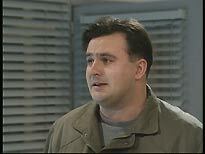 Gary confides to his best friend, printer Ron Wheatcroft (Bread's Victor McGuire), and they conspire to keep the secret from Gary's wife, Yvonne (Michelle Holmes). 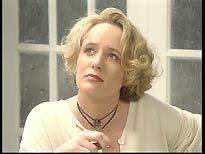 The show was created by Laurence Marks and Maurice Gran, two of the UK's most successful comedy writers, with series like The New Statesman and Love Hurts peppering their resume. The DVD features the first six half-hour episodes of the series: Rites of Passage, Fools Rush In, Is Your Journey Really Necessary?, The More I See You, I Get Along Without You Very Well and In The Mood. (Many of the episodes were named after songs of the 1940s). 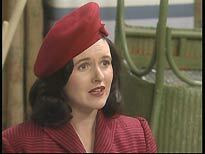 Many people will assume that Goodnight Sweetheart is a BBC production, but it was actually an early example of a series made for the BBC by an independent company (Alomo Productions, the company behind other Marks and Gran sitcoms, including Birds of a Feather, and another series that dearly deserves a DVD release, Nightingales). This also explains why the two series were released on VHS by Select Video (via VCI). The series was shot on videotape, and, as a relatively recent production, you wouldn't expect the episodes to exhibit any significant problems. There's a touch of ringing (ghosting), which is most evident on areas of high contrast, and a touch of underlying analogue video noise, both flaws that are typical of material of this age and provenance. There are also occasional glitches (moments where the chroma disappears for a frame or two, and the odd minor tape dropout), but no serious flaws. 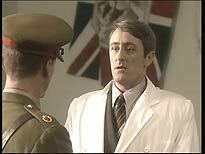 The wartime sequences were purposefully drained of colour (especially the blue part of the spectrum). This is explained in the commentary track for the first episode. The effect is not unlike watching an old Eastmancolor film, and quite appealing. The bitrate is a virtually constant 4.57Mb/s. Three hours of videotape material and almost an hour of bonus material is pushing the limit of what is acceptable for a single dual-layer disc, and it shows. There are many patches where the MPEG encoding struggles a little, but it's tolerable with this sort of material. Subsequent seasons are all ten episodes long, and will presumably be split across two discs. Two DVD9s, each containing five episodes, would allow a better bitrate. It would be unfortunate if Revelation decided to try a 6/4 split, using a DVD9 and a DVD5, as that wouldn't allow for any improvement. Of course, it might be that subsequent seasons might not feature an hour's worth of bonus material, and the space used for that here would be freed up. The audio (presented in 2.0 Dolby Digital format, at 192kbps) is typical of a studio-based production of this era. Dialogue is generally clear and distinct, and the period-style music (provided, we're told, by a composer who specialised in Glenn Miller-style pastiche) is free from distortion. The mix is characteristically un-ambitious, though, and exhibits the usual dynamic range limitations of most modern television productions. It's worth noting that the episodes are apparently identical to the versions originally transmitted (albeit with updated end logo's - a regrettable necessity). References to Princess Diana, which might have been removed on the grounds of poor taste, are thankfully intact. The sleeve makes a point of mentioning that the "DVD features all the original music from the TV series": no mean feat considering it includes snatches of popular tunes like Elton John's My Song. 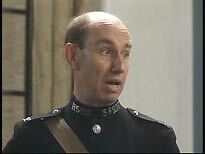 (One of the show's running jokes is that Gary is able to take credit in the 1940s for composing popular tunes that wouldn't actually be written for decades). Either Alomo was very foresighted in getting rights clearance for home video exploitation, or Revelation has some very canny negotiators! It will be interesting to see if Revelation are able to maintain this pledge with later episodes, which feature tracks by The Beatles that are notoriously difficult to clear. Keep your fingers crossed that the rest of the series escapes unscathed! Another grouch - the episodes themselves have no chapter marks. Perhaps this is done on purpose, to keep the authoring as simple as possible (perhaps working on the erroneous assumption that if you have chaptering, you have to have a separate menu screen to access them). It's not a big deal, but it would be nice to have them (especially if there was one just after the opening title sequence, to make it easier to skip to the beginning of the action, if you were watching more than one episode back-to-back). There are commentary tracks by Marks and Gran on all six episodes. The commentary on the first episode, Rites of Passage, does a good job of filling in some of the background to the series, explaining where Marks and Gran got the idea for the show; how they chose the cast and key crew members; and how they established the look of the series. 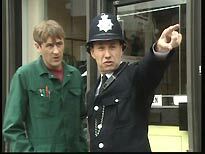 The commentary becomes patchier during subsequent episodes. When there's no commentary, audio from the programme itself can be heard, and sometimes the lulls in the commentary are so long that you might be surprised when an ethereal voice suddenly interrupts the dialogue. It may have been wiser to have reduced the number of episodes with commentary, or added other contributors. 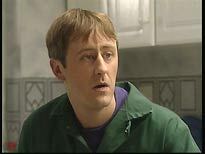 It would also have helped if the writers had re-acquainted themselves with the episodes beforehand. One of them mentions that they probably haven't seen the episodes since they originally aired, and it often seems like the writers get too caught up watching what's going on to say anything. The disc also features a videotaped interview with Marks and Gran (56m). Although they grew up in the same area (Finsbury Park, London), and are more or less the same age (both were born just after the Second World War), they didn't really get together until they met on holiday in the mid-60s. The interview takes the form of a simple question and answer session, where the questions are posed by on-screen captions. It's well worth watching, and full of interesting information. 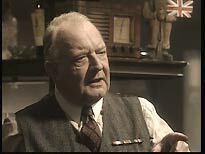 Most of it is related to Goodnight Sweetheart, but it strays into other areas, and other shows, including another Marks and Gran wartime series Shine On Harvey Moon. They also have some interesting comments about how the BBC used to commission comedy series, and how this has changed over the years. They pointedly note that Goodnight Sweetheart didn't really take off with viewers until the first series was repeated, by which time the second had already been commissioned, and was only weeks away from being transmitted. They also explain how their writing partnership works, and have some nuggets of advice for aspiring writers. 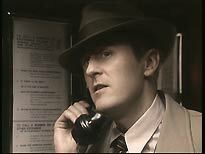 Viewers who are new to Goodnight Sweetheart should note that there are some major spoilers about the series' cast changes during the commentary and interview. It would have been very easy for Revelation to issue the series without any bonus material at all. A very large percentage of their customers will probably have bought the series without any extras. It's also worth noting that the disc has a very reasonable RRP (£15.99), and, if it follows the pattern set by most other Redemption titles, it won't be very long before it's very cheap indeed. The Goodnight Sweetheart disc proves that Revelation has come a long way since the label's early days. Despite a few minor technical grumbles, and some criticism of the patchy commentary tracks, this is a perfectly fine DVD. With a bit of tweaking, subsequent releases in the series might be virtually perfect.